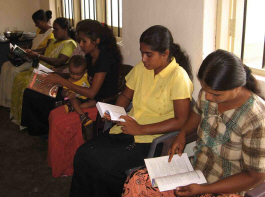 Back in February 2009, we provided funding to YES Foundation, a local Sri Lankan NGO, to construct a library in a remote village in the Hambantota area. We are pleased that this library was recently completed and opened to serve the families in this area. Previously, children and families in the area had to travel up to 20km to get to the nearest library. By having the library closer to their home, children and families in this area will read more often and this will help provide more opportunities for them in the future. The residents of the area are very excited about this new library in their community. Copyright © 2001-2009 Atlantis Group Ltd.